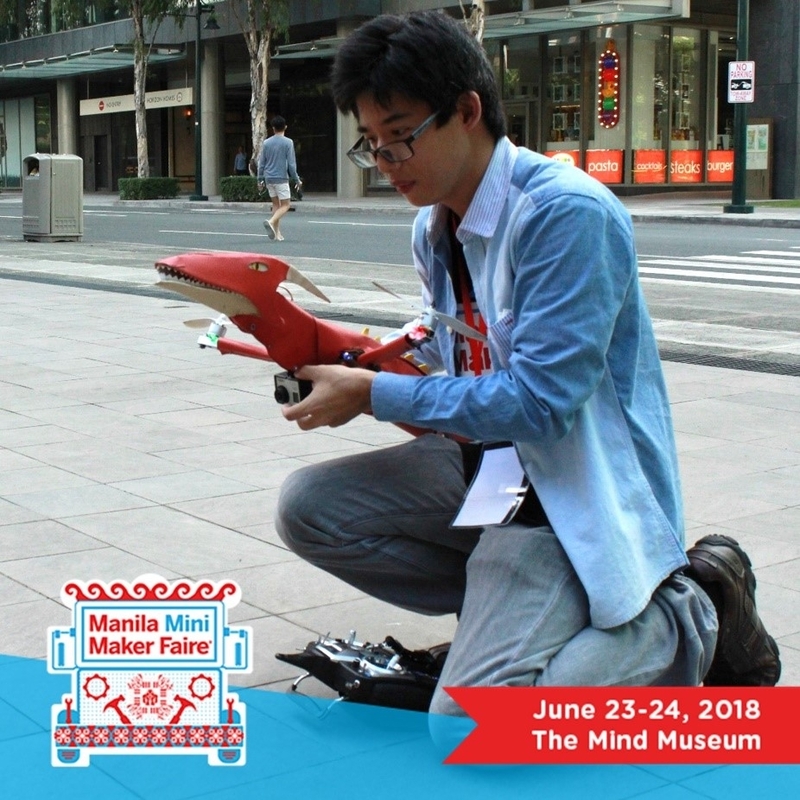 6 Reasons Why You Should Be At the Manila Mini Maker Faire This Weekend! 1. Maker Faire is "the Greatest Show (& Tell) on Earth"! The first Maker Faire was held in 2006 in California. From then on, more countries joined the global event. 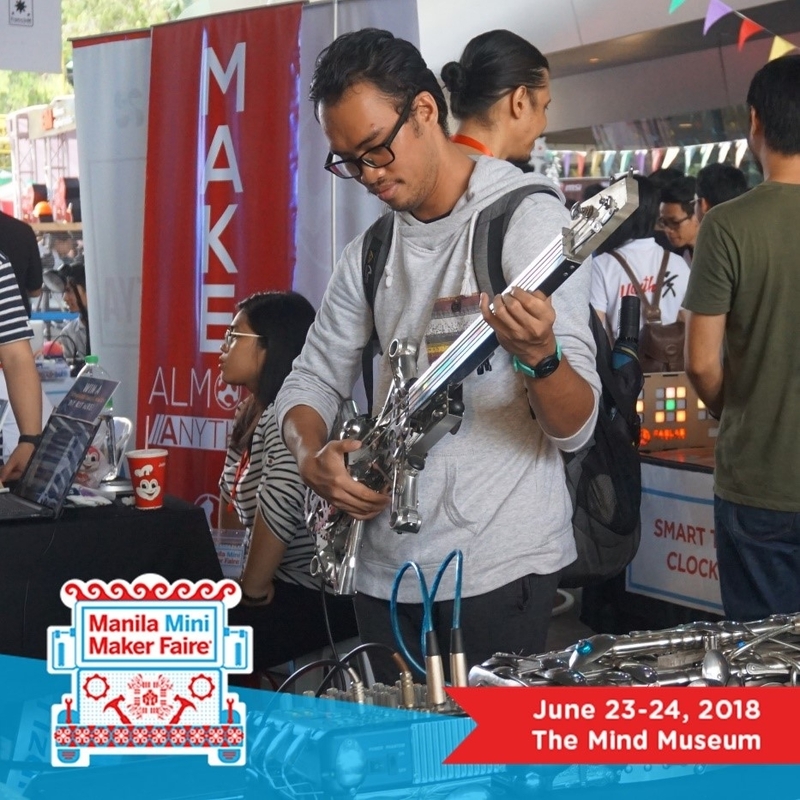 In the year 2017 alone, there were over 200 Maker Faires in 38 countries including the FIRST Mini Maker Faire in Manila, Philippines. 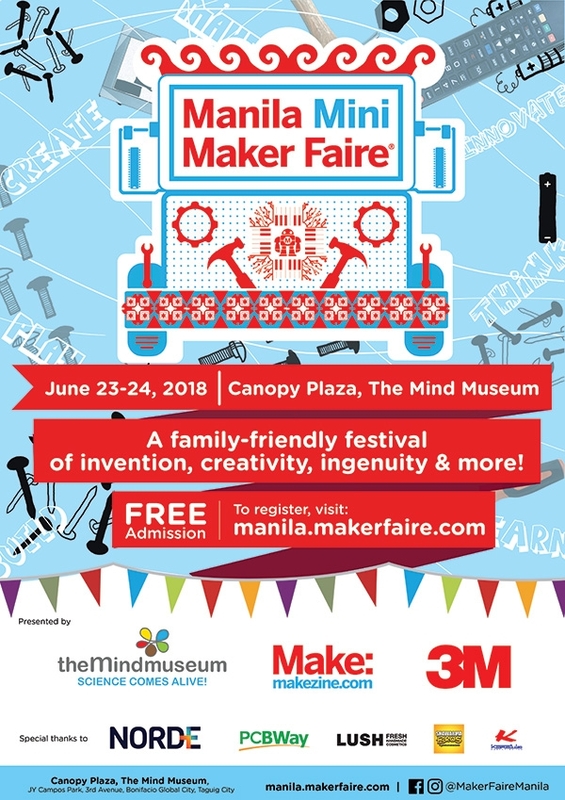 Be part of this celebration of the maker movement and encourage the makers to create more projects and come up with new ideas. Who knows, you might be inspired to be a maker yourself! Meet over 90 makers of various backgrounds from all over the Philippines who will exhibit their works. Get to see and interact with awesome ideas and creations from science and technology to arts and crafts - robotics, 3D printing, game design, natural dyeing techniques, woodworks, upcycling, and so much more! Be in the company of skilled and interesting people who have amazing stories to tell - from tech enthusiasts, students, artists, hobbyists, crafters, STEAM and STEM advocates, and commercial exhibitors to family-run passion projects and engineers turned entrepreneurs. Our Makers will be glad to share what they know about flying drones, making your own instrument out of utensils, controlling your appliances via a mobile text, replicating Thor's hammer, 3D printing your face, crafting your own pop-up book, making people laugh with an improv performance, hand-rolling your own water-cleaning mud ball, reinventing science education, and concocting your own coffee and beer. Join workshops, participate in hands-on activities, and listen to featured Maker presentations, talks, and demos throughout the Faire weekend. Develop a new hobby or get inspiration for your next big project! 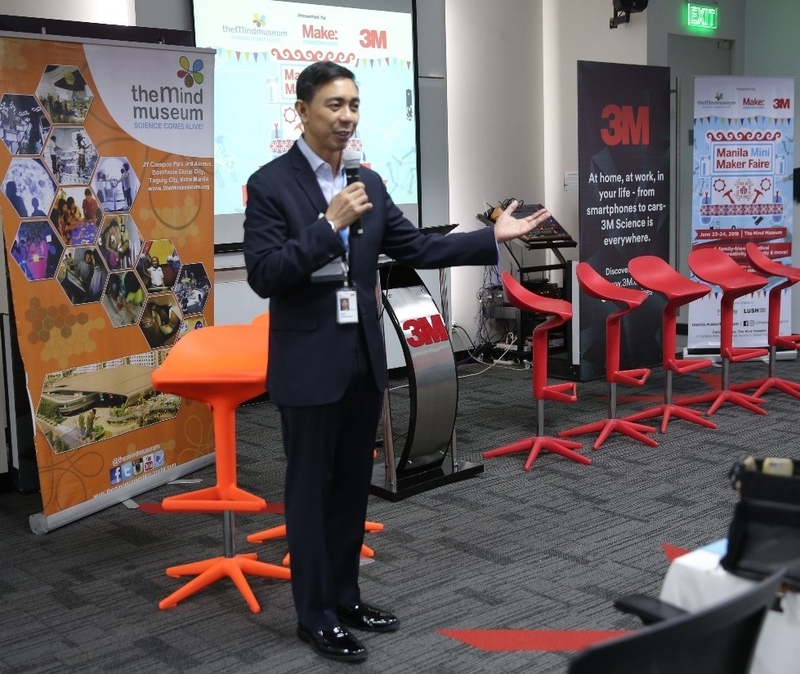 Ariel Lacsamana, President and Managing Director of 3M Philippines, co-presenter of Manila Mini Maker Faire, shared in a press event that his teenage son picked up not just one, not two, but THREE new hobbies after visiting last year's Faire! 5. 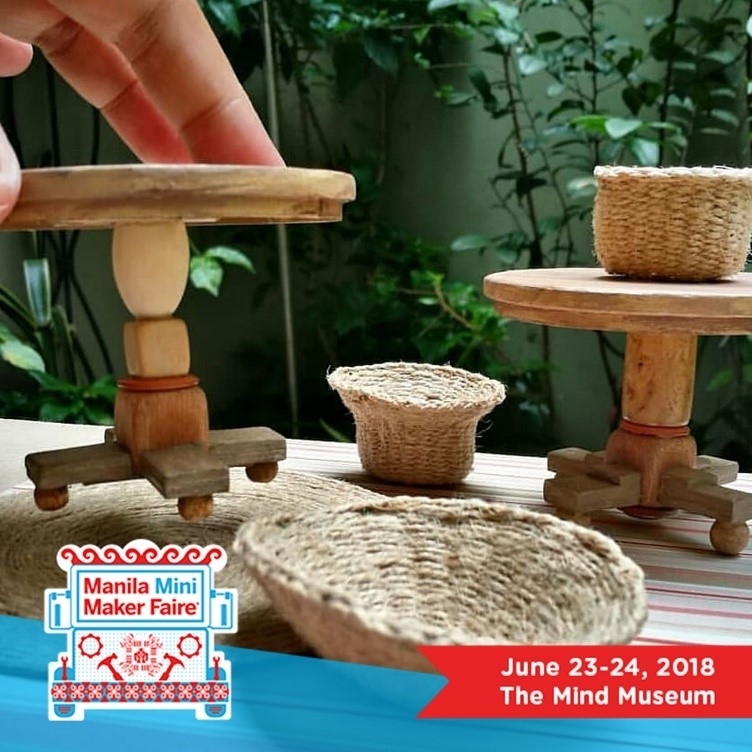 Local ingenuity and Filipino artistry shine at the Manila Mini Maker Faire! Get to see homegrown and proudly Pinoy crafts and sustainable technologies. 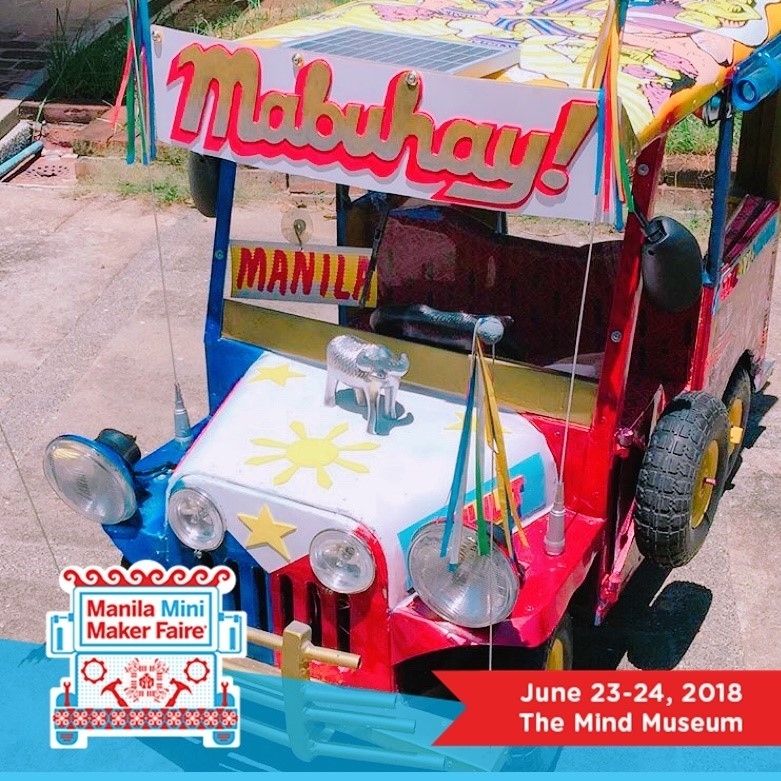 Attendees of this year's Manila Mini Maker Faire will be the first to witness the unveiling of a children's toy jeepney and a collection of Philippine heritage miniature furniture, to name a few. 6. Best of all, it's FREE! But that's not all! 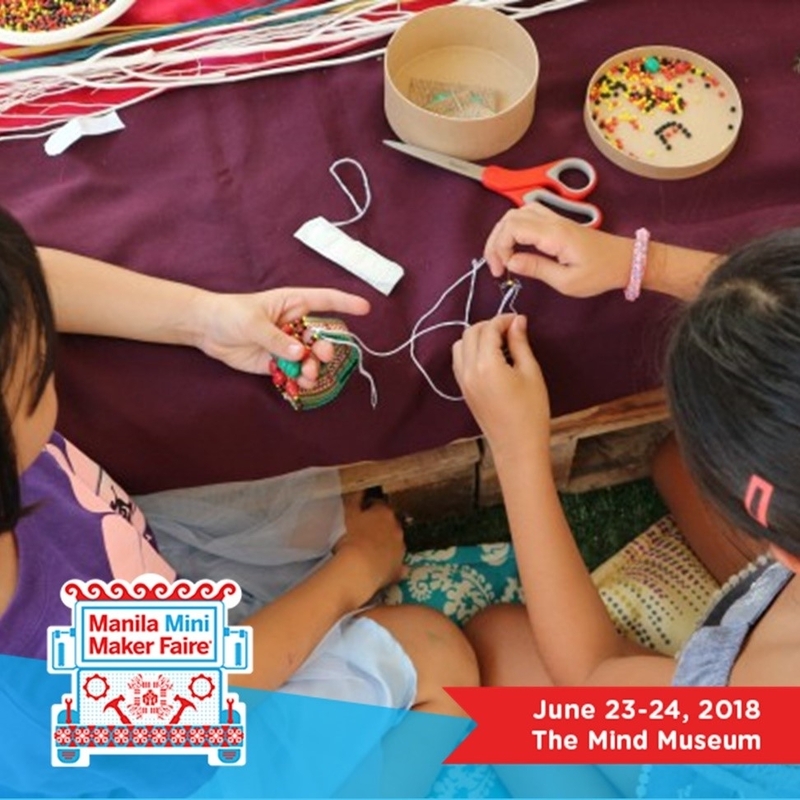 Get discounted All Day Pass tickets to The Mind Museum for only P475 if you visit during the Manila Mini Maker Faire weekend. 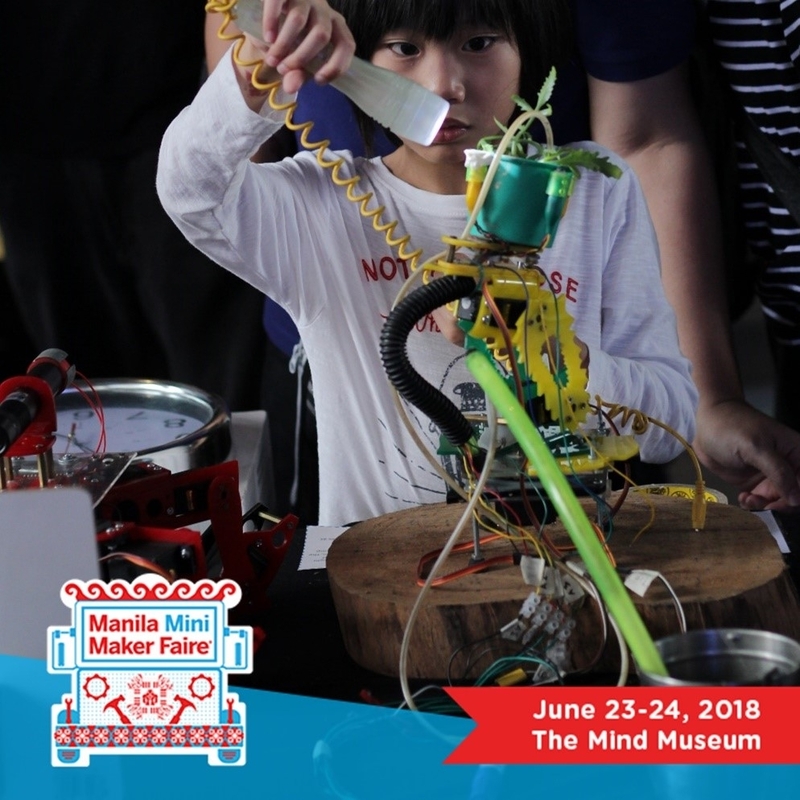 Mark your calendars and make your way to the Manila Mini Maker Faire 2018! For more information, follow @makerfairemanila on Facebook and Instagram, and @makerfaireMNL on Twitter. 5 Reasons to Visit Space Adventure at The Mind Museum! The Mind Museum is bringing the final frontier within reach with its newest traveling exhibition, Space Adventure: Journey to the Wonders of the Universe! Like most of the Museum's other offerings, Space Adventure is an exhibit for everyone, from ages 2 to 102. The hands-on, minds-on exhibits combine the awesomeness of the universe with the playfulness of a child pretending to be an astronaut. If that is not enough to convince you to visit, here are 5 more reasons why you should invite your friends and family to go on an out of this world experience at Space Adventure. 1. 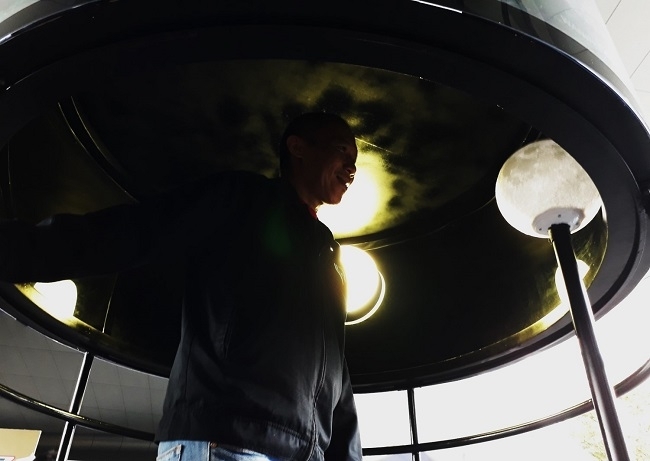 Space Adventure puts outer space within reach via hands-on exhibits. Space Adventure is filled with exhibits that allow you to learn about space through hands-on experiences. Ever wondered how much you'd weigh on Mars? Would you like to know what the weighing scale would say on Jupiter? Now you don't need to wonder! Space Adventure allows you to hop from one planet to another and learn what your weight would be on each of them. 2. Space Adventure is an adventure for the whole family! If you're looking for a fun and educational bonding experience with your kids and want a new place to visit, why not head to Space Adventure? Together, you can learn the answers to different questions you may have about space, such as what astronauts would need to survive on Mars. Many of the exhibits at Space Adventure are designed to be enjoyed by kids as young as 2 years old, and by their adult companions. Did you know that it can be very challenging to work while wearing an astronaut suit? You can do this alongside your child companion! You don't need to be a kid to enjoy the exhibition; just bring the 'child' within you! While you're at it, bring your friends so you can bond while competing to see who's better at sending space probes to Mars, or who can draw a better alien. 3. Space Adventure is K-12 ready! Who says you can't learn and have fun at the same time? 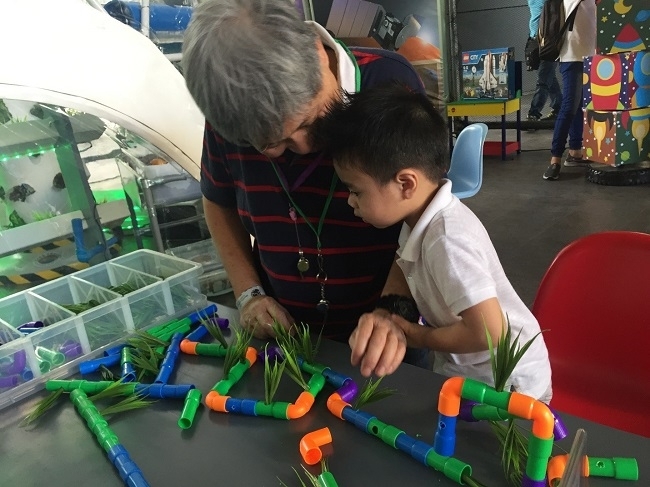 At Space Adventure, even the kids won't notice that they're having a hands-on experience with their science lessons in the classroom. The new K-12 curriculum contains topics about space from Grades 3-12, so most students will find their science lessons come alive through the exhibits at Space Adventure. Students from Kindergarten to Grade 2 will practice identifying shapes, counting, classifying objects, and other skills they learn in the classroom, all while learning about outer space! 4. Space Adventure is full of mind-blowing facts about space! Did you know that you are made of star stuff? No, seriously. You are made of stuff that comes from the insides of stars long gone. Isn't that simply mind-blowing? 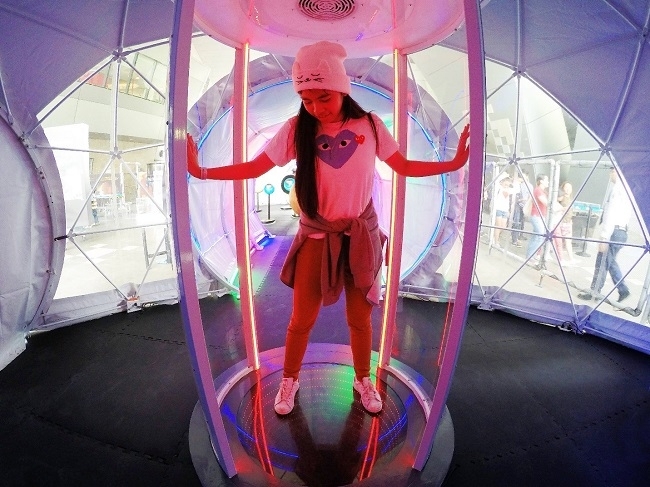 At Space Adventure, you will learn this and more out-of-this-world facts while taking a selfie as you're dressed in a space suit, getting dizzy inside a spinning platform, or flipping switches in a space station command center. Who says learning about space ends in school? 5. Space Adventure is full of beautiful exhibits! Have you ever wondered if you'd look good in an astronaut suit? Go to Space Adventure and wonder no more! We're sure you'll look good in the astronaut suit we prepared for you. Don't forget to take your photo and post it on social media to get all those likes! Are you looking for a hands-on experience where you get to learn mind-blowing, out-of-this-world facts with your friends and family? What are you waiting for? Boldly go where you have not gone before and embark on a space adventure with us! Plan your visit to Space Adventure at The Mind Museum today! Space Adventure is on a LIMITED RUN ONLY at The Mind Museum. For more information on admission rates and operations schedule, please click this link. 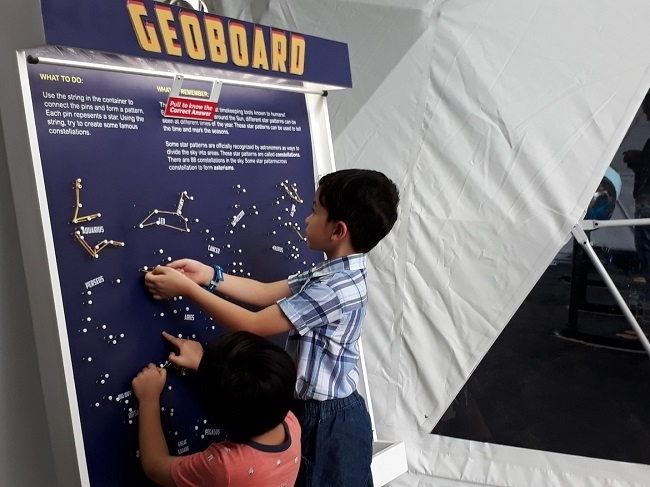 Space Adventure is an exhibition conceived and created by The Mind Museum, with the support of exhibit partners Department of Science and Technology (DOST), Neltex, LEGO, and with special thanks to Celestron, Urban Greens, Datem, and Daegu National Science Museum. 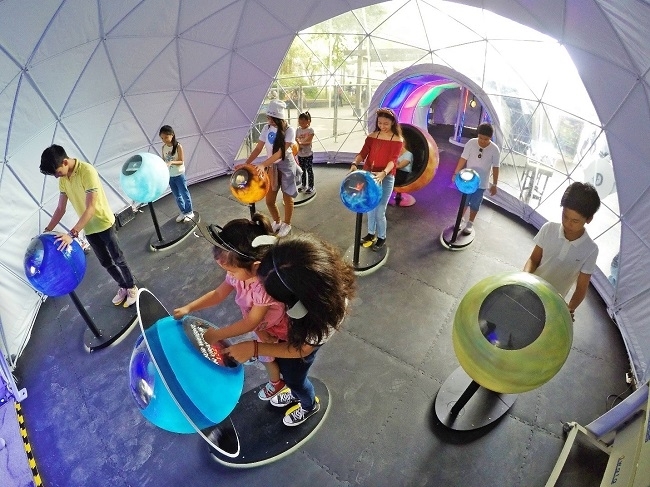 Space Adventure is part of a continuing series of science-themed traveling exhibitions available for booking across the country, as part of The Mind Museum's mission to bring science closer to the general public. ‘Dinosaurs Around the World’ is Now Open at The Mind Museum, and Here’s Why You Should Visit! If you consider yourself a fan of dinosaurs and have always fantasized about seeing them in person, then visiting the Dinosaurs Around the World exhibition may be the closest you can get to experiencing this! 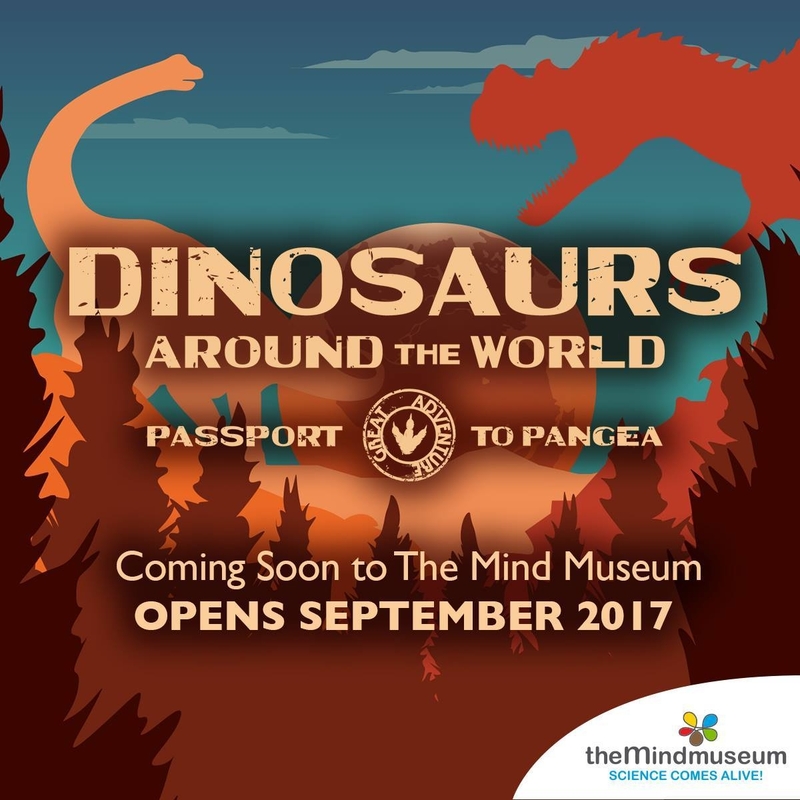 Opening at The Mind Museum on September 1, 2017, Dinosaurs Around the World features 13 life-sized dinosaurs with advanced animatronics; the result is an extraordinary encounter with moving, roaring, (and even breathing) dinosaurs! This international traveling exhibition produced by Imagine Exhibitions Inc., lets you embark on a globe-trotting adventure back to the Age of Dinosaurs. Explore the exhibition by visiting all seven continents during the Mesozoic Era, and learn about the dinosaurs that have made each continent their home. Learn how the unique environments on the different continents shaped how each dinosaur species evolved, and enjoy the exhibition’s immersive and interactive elements! For instance, you can take your picture with a giant dinosaur femur (thigh bone), and marvel at how big it is compared to your own! 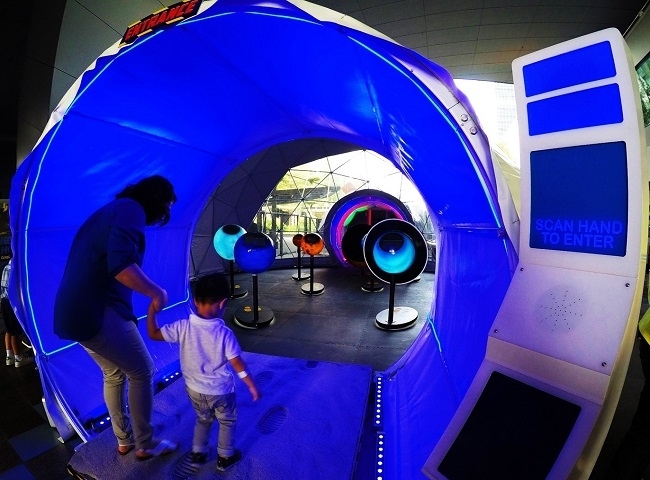 The exhibition also features fun, educational activities in The Mind Museum’s Canopy Plaza that all ages can enjoy. 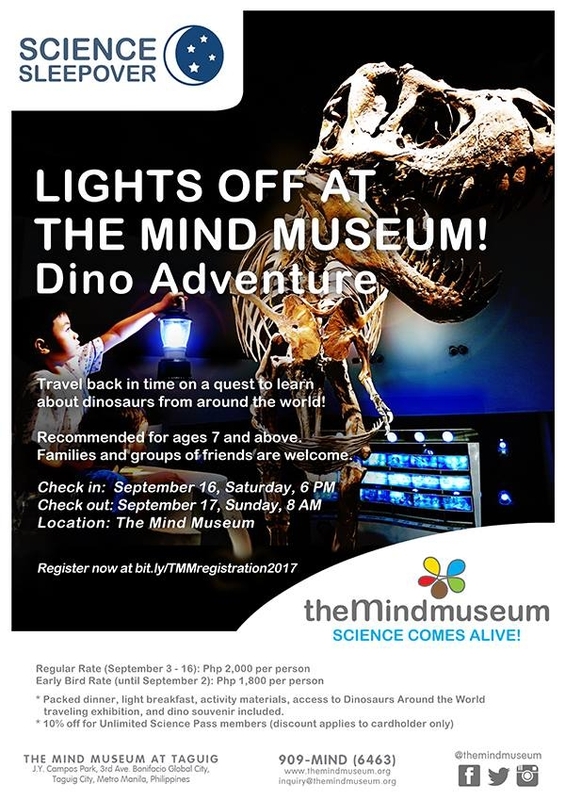 If you’ve visited the exhibition but just can’t get enough of dinosaurs, you can also sign up for the Dino Adventure Science Sleepover, an exciting, overnight activity that will take place at The Mind Museum on September 16-17, 2017. To register for Dino Adventure, you may do so at this link: Dino Adventure Registration. You can visit Dinosaurs Around the World from September 1, 2017 to March 2, 2018 only, so make sure to see the dinosaurs while you still can, and buy a ticket now! To learn more about The Mind Museum’s exhibitions as well as upcoming and regular activities, visit the museum’s website, and follow the museum on Facebook, Twitter, and Instagram.